LandTech Geophysics has been involved for several years in surface micro-seismic monitoring and Hydraulic Fracturing Monitoring applications. The main philosophy of LandTech’s microseismic monitoring services is to keep the cost to the minimum by avoiding expensive borehole sensors and using surface monitoring devices particularly designed for this kind of applications. The benefits of our surface monitoring system are many some of which are listed below. 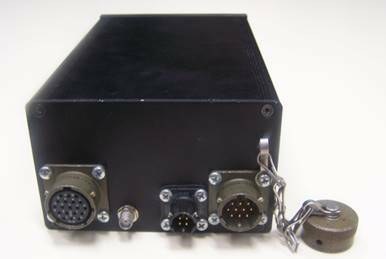 Our S-400 seismic sensor design is based on our favorite S-100 three-axis seismic sensor, mainly used in Passive Seismic Tomography applications. The NEW S-400 seismic sensor has specially designed for surface installation in oil & gas fields, into small diameter boreholes in order to keep the installation cost low. Installation depth can be up to 200m, but usually the suggested installation depth is 10 – 50m depending on the level of background noise. Recording hydraulic fracturing events from the surface, is not an easy task, and seems to be impossible using ordinary off the self seismological equipmentequipment. Our engineers have designed special hardware and software in order to minimize the electronic noise floor, increase the downhole gain, and increase the sensor sensitivity. 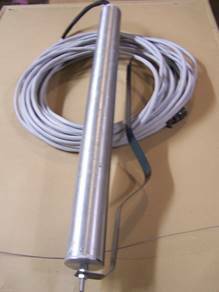 This target has been achieved adding more geophones per channel to the downhole sensor. Inside the sensor’s body there are four very high gain geophone elements in order to increase the signal gain and minimize the signal noise. The sensor with such configuration is able to record even events of negative magnitude. 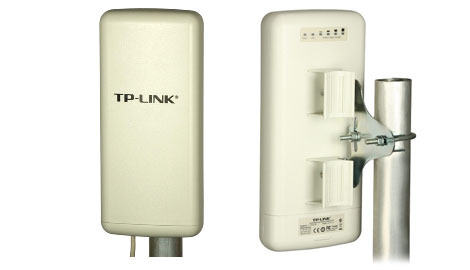 We support also a double geophone configuration version, the model S200. The characteristics of the new sensors are shown on tables 1 & 2. Four different types of sensor have been manufactured and used according the requirements of each application. 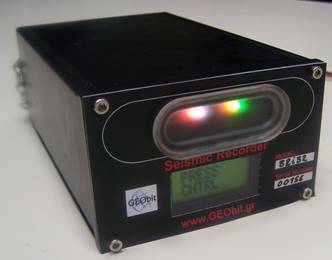 LandTech introduces the “state of the art” 32-bit resolution seismic digitizer which has been designed after many years researchby our affiliate company Geobit. It has three or six analog input channels, extremely high resolution, especially in higher sampling rates from 250 to 1000 samples per second (sps). The RMS effective resolution is 23.7 bits for sampling rate 250 sps, providing dynamic range greater of 138db. Using data rates lower than 100sps, up to 32bits of resolution can be achieved. The power consumption is extremely low, only 0.7W!, allowing the instruments to operate and continuously recording locally for a week, powered from a small 7.2Ah Lead-Acid battery. CoRE32 format data files are recorded directly into FAT32 removable microSD flash card. Timing is performed trough a very accurate DPLL unit getting synchronized from a GPS receiver. The overall drift is extremely low (4*10-9sec) when GPS is off, but it is periodically switched on, usually once per hour for DPLL synchronization. The digitizer provides also real time data streaming in parallel with the local recording (on microSD) trough the serial port, or Ethernet port, or wi-fi spot. The digitizer is ideal for micro-cracking monitoring, hydraulic fracking monitoring, micro-seismic monitoring and other applications that both high resolution and high dynamic range are required. When combined with the S-400 sensor, very small events with magnitude -1.8R or smaller can be recorded at the surface. The SRi32 digitizer/recorder is based on a very powerful ARM type processor (similar with processors that modern smartphones are using). The firmware is totally customized and not based on android or other linux distributions. Using custom embedded operating system we use all the processor’s capabilities without spending resources for useless processes. The firmware runs only the acquisition, filtering, timestamping, processing and storage functions. 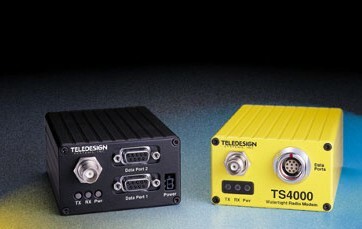 The data are also available in serial / Ethernet port of the instrument in real time. Thus, the real time data stream can be sent directly to the acquisition PC for real time processing. Alternatively the instrument can transmit only the arrival times of the seismic event to the acquisition server. There, the local micro-earthquake magnitude and hypocenter location can be automatically calculated. The advantage of this configuration is that the transmitted data have small volume so the there is no need to install a wide bandwidth communication channel. 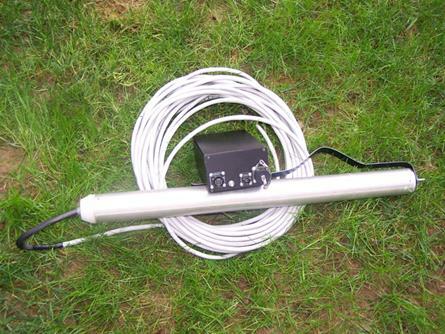 Any low data rate VHF or UHF channel can be used. The total power consumption is extremely low, only 0.7W for 3channels continuous recording / processing. The instrument can operate for one week when powered from a small 12V/7.2Ah rechargeable battery. According the application, the field engineer is able to setup the fracturing / microseismic network with many ways. VHF or UHF is generally the easiest way of communication between seismic stations and server because of the simplicity of installation of the antennas (directional, omni-directional or vertical). Signal can be transmitted at very high distances and the data transmission does not affected so much from landscape anomalies or any other physical barriers. Data rate is low, but more than enough when only P arrival time information has to be transmitted. Additionally, data can be transmitted to the server in real time using WiFi, or GPRS/3GH if the installation field has GSM coverage. Our digitizer/recorder supports seiscomp serial plugin. Newer version supports build-in seedlink server. This means that the data can be transferred via the robust & reliable seedlink protocol. User can simply setup a seiscomp software in order to acquire the data from the seismic stations in real time, and setup the automatic processing provided by seiscomp. It is a freeware open source software, implemented from GFZ Potzdam institute (https://www.seiscomp3.org/) and it runs under linux OS. a. Trigger Module. The trigger module applies our modified recursive STA/LTA algorithm on each data file and detects triggers regardless if the trigger is generated by noise or seismic event. b. Classifier Module. The Classifier module uses high order statistics to categorize the trigger as noise or seismic event. c. Associator Module. The Associator module compares the time stamp of the primary arrival of the seismic waves of all stations of the same group. 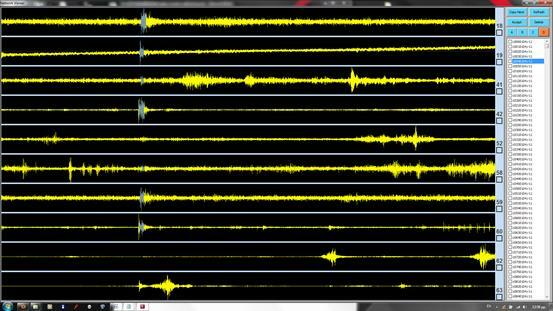 If the time difference is less than a value in a predefined number of stations, the seismic wave is identified as event. d. Post Processor Module. Gives the ability to the user, plotting the files with the selected events, to confirm that the triggered data are seismic events. False triggers can be rejected by the user.